We’re comparing Instant Pot Meatloaf and Air Fryer Meatloaf to give you all the deets you need to decide which one to make. The answer’s easy – both of them! There’s our Instant Pot Meatloaf and then there’s Air Fryer Meatloaf. What’s the difference, you ask? 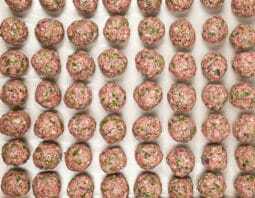 The main difference is that the air fryer manages to cook meatloaf quickly AND develop a crust, which is difficult to do in the Instant Pot. The short story is if you’ve got an Instant Pot and an air fryer we would use the air fryer. (Don’t have one? This one comes highly recommended and is quite affordable). Make it smaller! 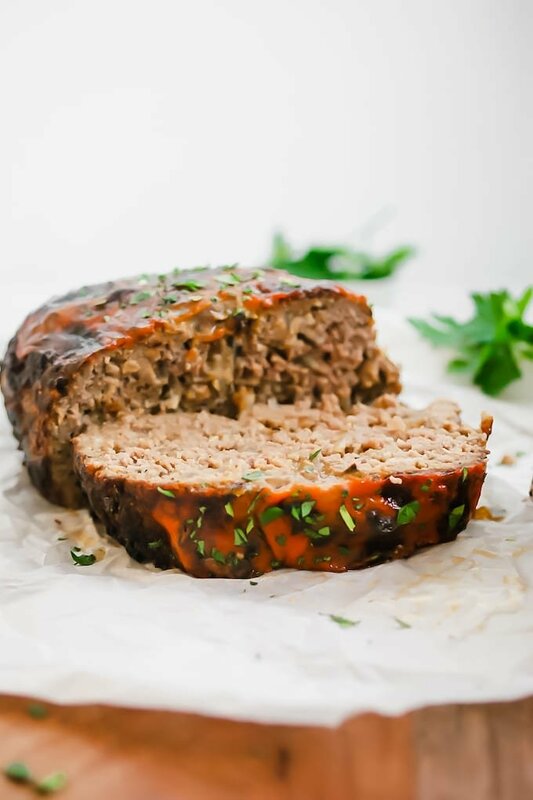 Most of our meatloaf recipes are made with two pounds of ground beef, but that’s way too much meatloaf for the air fryer; there simply isn’t room! Line the basket with foil. There are two reasons for this. 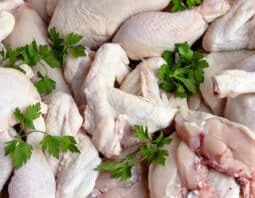 One, you don’t want all the juices to drop down into the bottom of the air fryer. Two, you don’t want the meatloaf to stick to the air fryer basket. So for ease of removing the meatloaf and ease of cleanup – line with foil! Don’t try to cook it too fast. There’s something tempting about cooking things in an air fryer at high heat, but be warned, the meatloaf will burn! We found that bumping the heat up after the initial cooking still led to a burnt meatloaf, so keep it at 370 degrees Fahrenheit for the duration. Heat the oil in a medium skillet over medium heat. Add the onion and saute until softened, about 5 minutes. Transfer onion to a large bowl. To the bowl, add ground beef, breadcrumbs, 1 tablespoon of the ketchup, Worcestershire sauce, Italian seasoning, garlic powder, salt, pepper and egg. Use your hands to evenly mix the spices into the meat, being careful not to overmix. Transfer meat to air fryer basket (lined with foil) and shape into a 4×6 inch loaf. 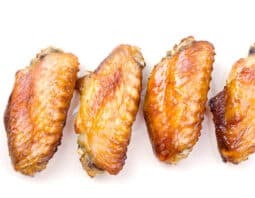 Cook in air fryer at 370°F. for 15 minutes. 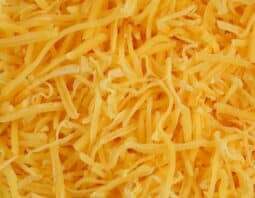 Meanwhile, in a small bowl combine the remaining 1 tablespoon of ketchup and mustard. 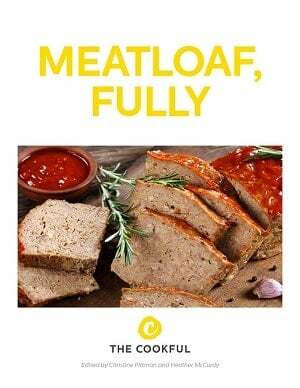 Remove meatloaf from oven and spread with ketchup and mustard mixture. 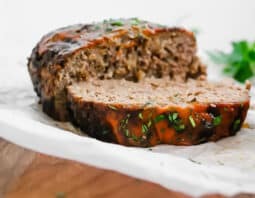 Return meatloaf to air fryer and bake at 370°F. for 8-10 more minutes. 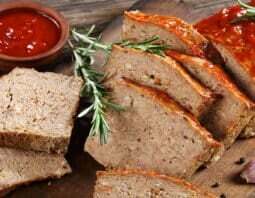 Remove meatloaf from air fryer and let rest for 10-15 minutes then slice and serve.